The swim teams concluded their successful season with awards for top performers. 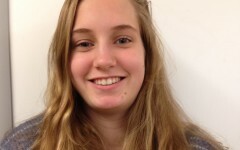 “I was really impressed with the Lincoln swimmers,” first-year coach Mikha Kaiel said. Laura Epperson and Jackson Locke Harris were named most valuable swimmers. The most improved swimmers were Madi Roethler and Dan Forsland. Coaches also recognized Annabel Shephard and Bayley Guy as the swimmers most dedicated to the team. Sage Smiley and Brendan Carey were praised for their team spirit. Coaches Kaiel and Kara Wendel also announced next year’s captains: Kesiah Clement, Julia Page, Kayla Lanker, Jeffrey Lynch, Guy and Locke Harris. Kaiel praised the girls for their “strong season.” The girls finished second at Metro District and won six of their seven league meets.